I have always enjoyed going home — back to the places where my childhood memories were made. On a recent trip to visit my Dad, I listened to a 2-hour taped interview between my uncle and my grandfather. This recording was made on January 15, 1975. The cassette had been tucked away for years for safe keeping. As soon as my grandfather started speaking, memories flooded the room and engulfed me in waves of pensive emotions. The interview was fascinating. My grandfather talked a lot about his family. He told the story of returning to his mother’s home to visit his grandfather. While there, his grandfather died. So, he negotiated with the local blacksmith, who also had carpentry skills, to have a coffin made and then arranged for his grandfather’s burial. He also spoke about his first school teacher and classmates and what life was like growing up on a ranch. I especially liked his story about traveling from the family ranch near San Diego, Texas all the way to California in 1917. My grandfather talked about the route and how difficult it was to drive on the poor and sometimes impassable roads in those days before any highways or the interstate highway system. And when he arrived in Hollywood he learned that they were filming a western and applied to be an extra since he was a skilled cowboy. My grandfather’s business school classmates. One of the most riveting parts of the interview was the time he served as an election judge in Duval Country, known for its political intrigue. When a particular election did not go as some in power had hoped, two police officers were sent to arrest him and take the ballot boxes from him before he could get them to the county courthouse. My grandfather did not give up the ballot boxes, asked to see the warrant for his arrest (none was offered), and succeeded in getting the voting results to the courthouse. He was never arrested. 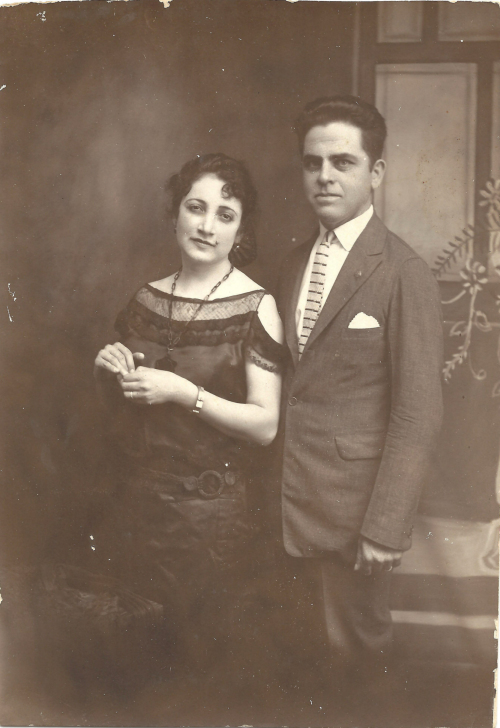 My grandparents, Felipe and Lucy Garcia. I loved every story he told, including the account of marrying my grandmother, starting the first Boy Scout troop for Hispanics in Duval Country and later in the Rio Grande Valley, enlisting in the First World War, and so many other great stories. Had my uncle not interviewed my grandfather, all of these wonderful memories would have been buried with him. And although I had heard some of these stories when I was a kid, it was good to hear them again as an adult. I appreciate them so much more. They are treasures. They are a part of the history of my family. 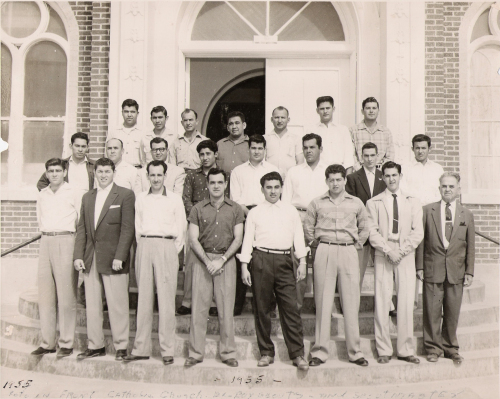 1955 reunion of Boy Scout Troop 20, started by my grandfather (front right). I believe in the importance of recording family history lest it fade from memory, never to be seen or heard again. In this day of digital devices, there are no good excuses for failing to be a family historian. 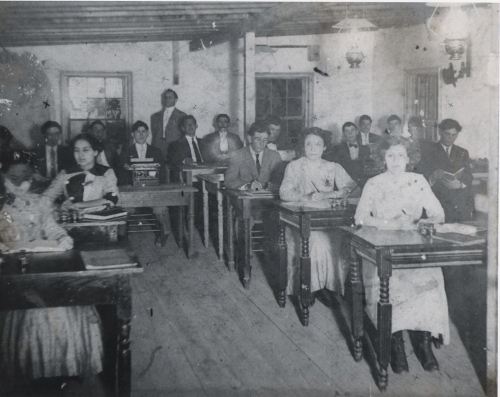 Here are a few practical suggestions for recording your family’s Texas history. Interviews | Interview your grandparents and parents. Ask them to share stories about their childhood and your family that you can share with your children. If possible, interview them at a place that will awaken dormant memories. Photographs | Sit with your family’s elders and ask them to tell you the stories associated with old photographs. Record the stories and names of the people in the photographs. Use a photo service to create photo books that can be easily reproduced and shared with family members. Technology | Record interviews on video and audio devices. Ask family members specific questions about your family’s history. Be sure to ask them about how they responded to key events like the Kennedy assassination or the lunar landing. Holidays | Use holidays, reunions, and other times when your family gathers together as a time to talk with older family members and to record some of your family’s history. Talk about traditions, vacations, celebrations, and getting through hard times together. Journal | Don’t neglect to record your own history in a journal or even on a blog. By doing so you will ensure that your own kids will have access to your story. 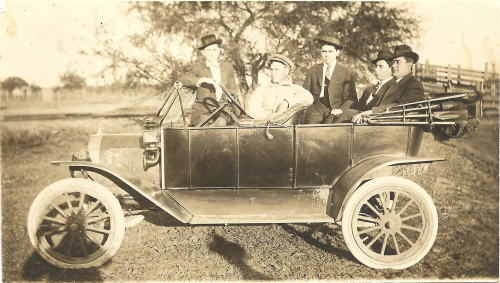 This entry was posted in Texas History and tagged Family History, Old Photographs, Texas History. Bookmark the permalink. Wonderful post and great pictures. Enjoyed reading very much. Thanks, Charles. Love the fact that you are researching and preserving your family’s history and making it accessible on your blog. You are setting a good example for others of how to be a family historian.